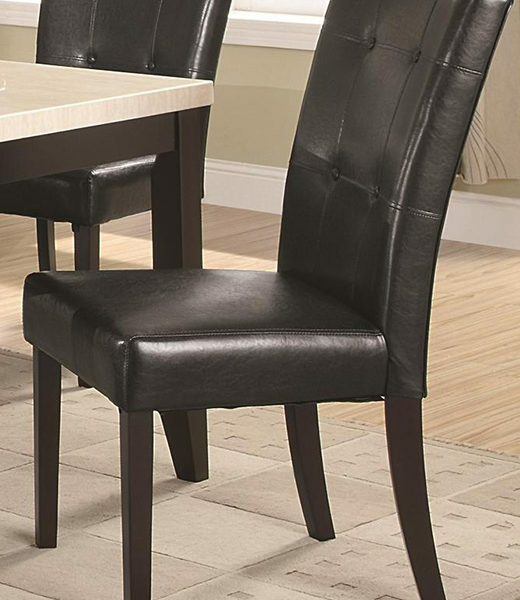 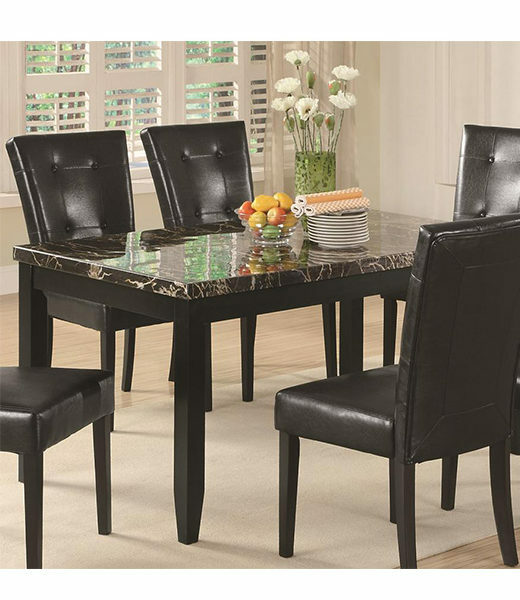 Elegant, clean and modern in design, this dining table and side chairs set is a sleek addition to any eating area in your home. 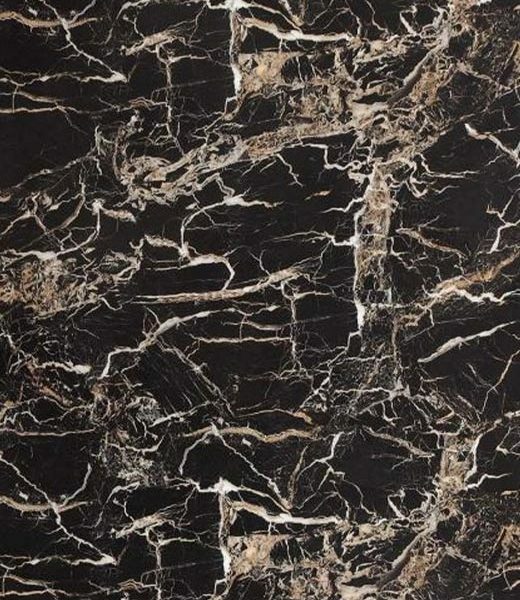 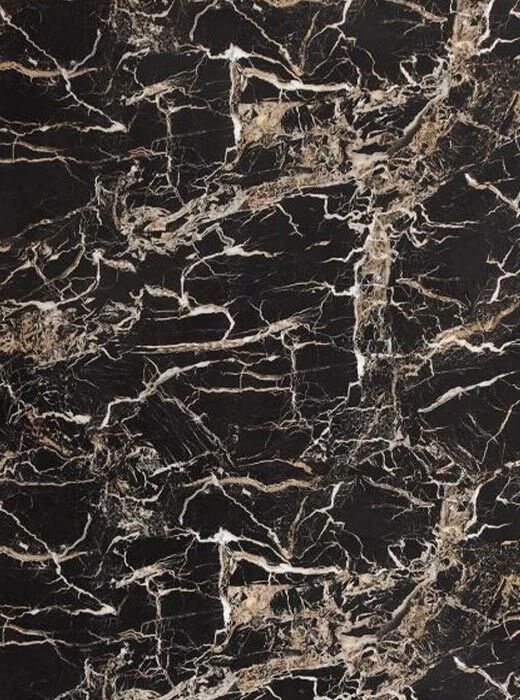 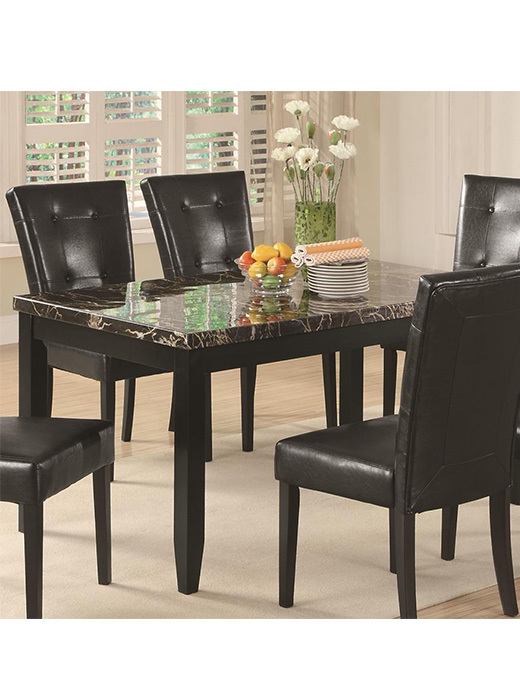 Featuring a Dark Cappuccino finish, straight tapered legs, and a light Black faux marble table top, the table is a functional and smart furniture choice for your home. 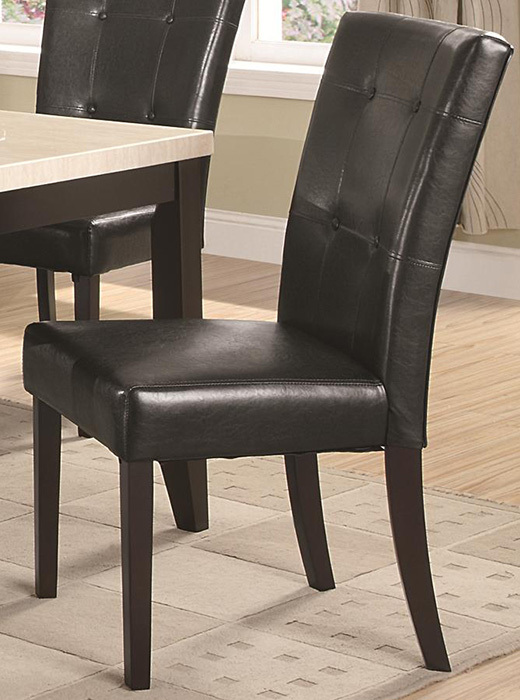 The six coordinating included side chairs feature a leather-like vinyl upholstery with a button tufted back.